How do I retain the services of Sweet Dreams for my event? 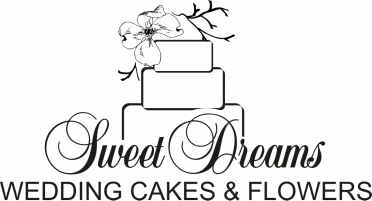 In order for hold your event date, Sweet Dreams requires a 25% non-refundable retainer for floral services and a $200.00 non-refundable retainer our cake services. Does the non-refundable retainer fee apply to my balance? Yes, the retainer will be reflected on your final balance. The final order and balance are due three weeks prior to your wedding date, and we are happy to make any revisions to your order up until that time. What is the cost of flowers? The cost of your flowers will be determined by flower type, seasonality and overall design. We encourage all clients to schedule a complimentary consultation in order to discuss the details of your event and build a customized estimate. Sweet Dreams primarily serves the Central California region from the mountains to the central coast; however we are happy to travel to your special destination. Yes, all prices given by Sweet Dreams are inclusive of all services required. Consultations are always complimentary at Sweet Dreams. Are you a licensed and insured vendor? Yes, Sweet Dreams is fully insured and licensed. Do you offer sample arrangements? Sample arrangements are available upon request but are not complimentary. Are you an LGBT friendly vendor? Yes, Sweet Dreams is available for all of life’s celebrations.